I’m looking for something that’s not here! Identity guidelines - Rules for print and digital logos, official typefaces, business cards and stationery, etc. Event listings - How to promote your event online. Go to our headlines page for tips on writing effective headlines. This is a phrase that elaborates on your headline to pull someone into the story. It appears directly underneath the headline on your article page and acts as a second headline. 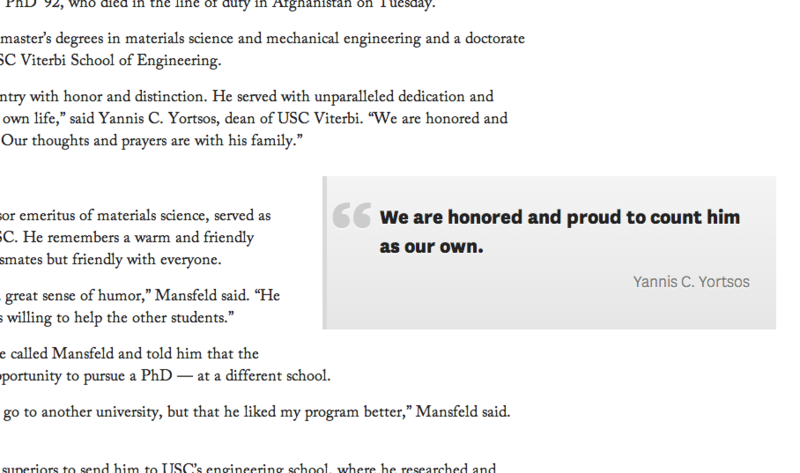 This is a phrase or set of phrases/sentences that appear on the USC News homepage (news.usc.edu). They may provide more elaboration than the subtitle does. Or they could be the same as the subtitle. Example: This year’s slate of halftime shows includes a tribute to Trojan legend and Olympian Louis Zamperini. It all kicks off Sept. 6. Break up your copy into chunks of 3-5 paragraphs by using subheads. These help keep the reader engaged and provide visual variety. Be sure to include a variety of links to other pages in the story. These could be bios of the researchers involved, websites of granting agencies, external news stories or any other rich links that could provide detail for our reader. Go to our Images page. 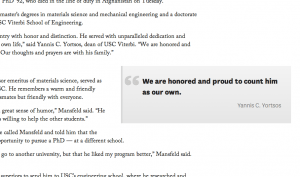 Go to our USC News WordPress site here and sign in using your USC username. If your email is smith@usc.edu, your username is smith. 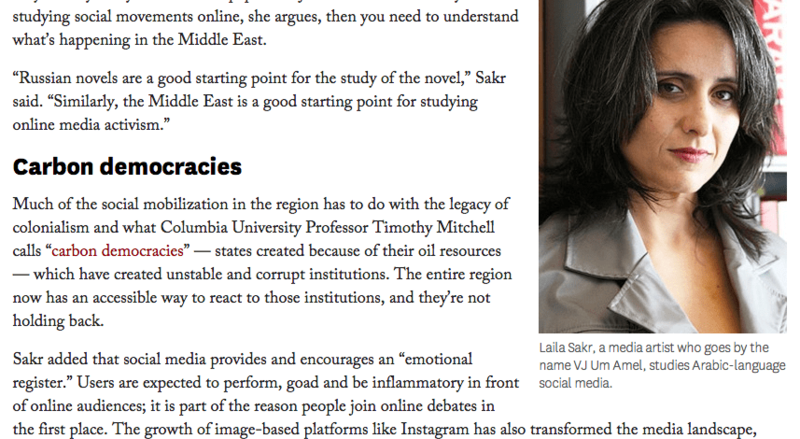 Notice that the large space in the middle of the page has two tabs on the right upper corner: Visual and Text. Select Visual and paste your body copy directly into the large space in the middle of the page. Click on the Text tab and look at the text to make sure you haven’t copied any formatting (HTML code) from your original file. Break up your copy into chunks of 3-5 paragraphs by using subheads. These help keep the reader engaged and provide visual variety. Format the subhead by using Heading 3 in the formatting menu, just above where you’re typing. Paste the quote wherever you’d like it to appear in the story. Erase the quotation marks. Highlight the quote and name with your cursor, then click the big quotation marks in the formatting menu above. Go back to the Visual tab. If you want your pull quote to span the whole central column, omit class=”offset” from your coding. Write or copy what you want to highlight in your box. For example, Nearly 80 percent of freshmen were from California. Paste this wherever you’d like it to appear in the story. Highlight the sentence with your cursor and click the big quotation marks in the formatting menu. For longer, more “thoughtful” pieces (what you might call a long read) you can use a drop cap to start a section. Do do that, go to the Text tab. Use the following HTML code to set off the paragraph you want to begin with a drop cap.